Are Digital Scales Accurate For Measuring Weight? Best Home Gym Equipment Reviews Are Digital Scales Accurate For Measuring Weight? Weighing yourself every day can be a great way to track your progress, as well as monitor your health. If you’re consistently weighing yourself, you can make on-the-fly adjustments to your diet or training regimen to help you get closer to whatever fitness goals you may have. But you won’t just be standing on your kids’ playset and seeing if it breaks, will you? You’ll use a scale. However, not all scales are made the same. Scales come in 2 main categories: analog and digital. An analog scale is the one where you step on the platform and the little wheel with numbers on it physically spins and places the dial where the needle corresponds to your weight. With a digital scale, you step on the platform and after a second or two a number pops up on the screen, maybe with a programmable BMI or some sort of tracking feature. Both of these varieties can be extremely accurate and precise in gauging your weight and communicating it to you; however, there are some differences in how the information is processed, and the consistency over time. To see if digital scales are accurate for measuring your weight, we’re going to stack it up against analog scales in three categories: accuracy, precision and longevity. If you’re shaky on the difference between accuracy and precision, hold your horses; we’ll get to it in due course. First, let’s take a look at the differences in accuracy between analog and digital scales, and how we can get the most accurate readings from them. 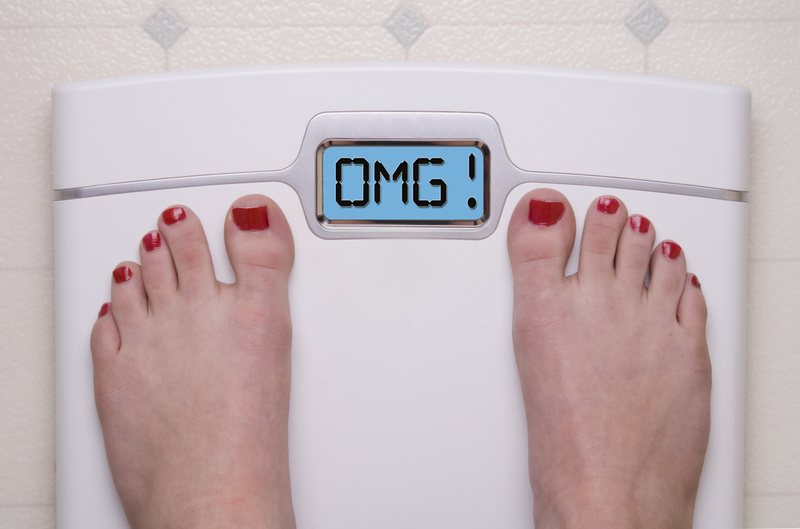 So, Are Digital Scales An Accurate Way To Measure Your Weight? We define accuracy as how close the number on the scale is to your actual weight. Scales can claim to be accurate to the tenth of a pound, or to an eighth of a pound, but you won’t know until you test it out. Digital scales can be incredibly accurate, as they are often used in laboratories where exact calculations are needed. One of the most desirable traits in a scale, which almost every analog scale has, but not every digital scale, is calibration. Calibration enables you to make your scale more accurate by editing its output, or the weight it displays. Scientific weights that have been exactly measured (usually made of lead) can be purchased online and used for calibration. Calibration is handy because if the scale is off (whether digital or analog), you can simply calibrate the scale instead of returning it and buying another. Out of the box, there is no inherent difference between the accuracy of digital and analog scales, but the ability to calibrate is generally limited to analog scales and middle-upper-to-upper-tier digital scales. With accuracy, analog and digital can both be extremely accurate, but the potential for communicating this accuracy is not as great with analog scales, which brings us to our next category: precision. Precision is basically the amount of decimal places a scale can display your weight to. If you can see your weight as 175lbs scale A and 174.89lbs on scale B, scale B is more precise. Again, precision is how effectively accuracy can be communicated. In this regard, digital scales have the upper hand. An accurate scale is going to give you a better idea of your weight, and a more precise reading than an analog scale. They are also much easier to read, by using decimals instead of lines in between numbers. Pretty much all scales these days go to at least 2 decimal places, with most going up to 4 decimal places. In precision, there is no doubt that digital scales are better. With that being said, stressing out about a hundredth or thousandth of a pound is just downright silly. Maybe your hair grew an inch or you have belly button lint. The human body is not precise, and there are MANY factors that play into your weight, so don’t place so much emphasis on those smaller decimal places. This is where it gets tricky. Remember when we talked about calibration? Not having the ability to calibrate a scale basically renders it useless after the springs and sensors start wearing out (could be a matter of months or years), unless you know the weight is consistently off by a certain amount. Technically, then you could self-calibrate…but who wants to do that? Springs and mechanical parts in analog scales will eventually get worn out and the springs and pressure sensors in digital scales will also eventually get worn out. The difference is, the ability to calibrate works around this, so if you have a digital scale with possible calibration, you can make it last a considerable amount longer. However, the longest lasting mechanical scale will last much, much longer than the longest lasting digital scale simply because the digital display will eventually fade and become unreadable, and paint takes a long time to fade. Certainly – well, almost certainly. It depends on which scale you get and if it can be calibrated. With digital scales, you get what you pay for. A more expensive price point on a scale generally yields a more accurate weight (remember, accuracy is more important than precision). There are scales in certain price ranges that are more accurate than other scales in the same price range, so make sure to read reviews and read any manufacturer notes about accuracy or consistency. Digital scales are inexpensive to pick up, they’re easy to store away and they’re generally more aesthetically pleasing and stylish than analog scales. Find one you can calibrate, or one with a great level of accuracy (make sure to test it out yourself a few times before tearing up your receipt). Weighing yourself consistently and noticing trends is more important than knowing your weight to the 1000th decimal place, but precision can definitely help you notice small trends and fluctuations. Make sure to read reviews and pay attention to any manufacturer claims and you’ll be able to pick up a digital scale that can accurately measure your weight, and display it with a great deal of precision; and, if you can calibrate it, it will last longer and get you more bang for your buck. I have two digital weighing machines, both about 10 years old, and they each give inconsistent results. Obviously my weight didn’t fluctuate in that very short time (I didn’t pick up or put down anything while doing this). I’m wondering whether there is some process that makes a digital weighing machine lose its consistency over time. Hmmm, that’s certainly interesting. I’m not sure either whether digital loses its consistency over time, but I have to say it wouldn’t completely surprise me. Look at the way smart phones age over a few years. I’m willing to bet though that digital scales will have longer years of consistency nowadays since technology has gotten significantly more advanced since even what was released just 10 years ago. No, no, no…. In every morning I have at least 3 or 4 different weights, in the same minute, on my Digital Scale. Put the scale on a ceramic tile. You can pick one up at a Re-Use-It or ReStore for a buck. If you’re worried about the rough back scratching your floor, you can put felt chair floor protectors on the BOTTOM of the tile. The idea is that the support for the scale is the same every time. Get on the scale the same way every time. If you normally put your right foot on it gingerly holding on to the edge of the shower door for balance until your left foot is in place, do it that way every time. 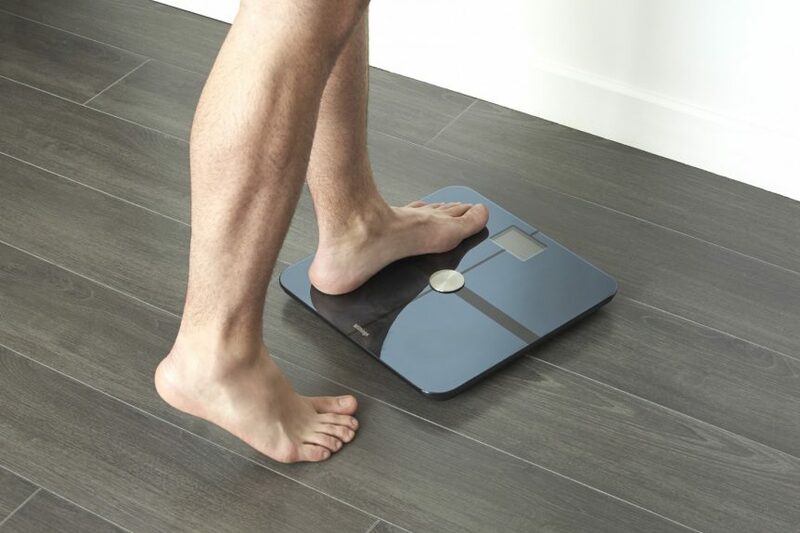 Weigh yourself at the same time every day. Wearing the same clothes each time. For me that’s right after my morning pee before I step into the shower, wearing my birthday suit. You can check your scale’s accuracy by making up 5 weights using your kitchen scale — 5 glasses of water weighing 0.2, 0.4, 0.6, 0.8 and 1.0 pounds. Weigh yourself with each. If you have an accurate scale, you will get an increasing number each time. A slightly less accurate scale may skip and number or do one twice. Will a digital scale become less accurate if the battery is old? Or have I really gained so much weight?? ?